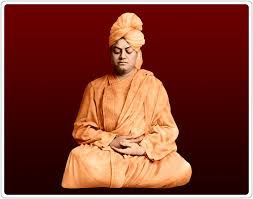 "अस I told before there are four types of yoga and they all are different to each other, by their name and some were in working process but initially it is only one type and that is the denunciation of worldly thing. To get real power of yoga. Now, here I will unbox all about dhyana yoga. How it works and how it can change our entire life just like a magic stick. Believe me, I am speaking absolutely truth yoga (meditation) have the superpower so let's start dhyana yoga. Beginning of dhyana yoga: Dhyana yoga starts with you and your deepest desire to find out all about your self. if you ever have a thought that what is the ultimate source of human power your answer might be because of memory power. and it is absolutely correct. it means Dhyanyoga just simply related to your mind and its process of performance just like computer work. Fast ability to carry many information decision making etc. These all come from dhyana yoga. power of your super mind. now start dhyana-yoga and understand its basics. To start dhayanayoga you must have to decide or choose your time period. The second thing which you have to decide is the place. a place could be any of a place it may be inside of your room or outside of your room, but the requirement here is calm tranquility in that place to perform your task. Last but not the least thing would be your patient on yourself while performing your divine deed. Do you know why I say it divine deed because it has divine power life-changing capability so be patient while doing your deed? Now let us start yoga: You can choose any of style of seating it depends on you and your physical capability. You can start yoga on sitting position or you can start it on sitting on the chair or on the bed yes you can start it from anywhere and in all possible manner or your like. but most important thing all of them are persistence. I mean to say that in a just like a statue mode while you are performing your divine deed, it is most important without it nobody can get perfection in yoga. It is a basic need or you can say it is oxygen of your meditation. If you understand that how to sit then start dhyana by closing eyes and try to be calm and open your mind for very thing, lose your body, take a long breathe inhale hold inside as time you can and then start slowly exhale by counting number revers like 10,9,8,7,.........1.
when we breathe in and hold inside it give oxygen to your mind to get relax and refresh. do it at least five times every day. I mean start yoga with this technique, every day it will increase your brain power our observation power our thinking process, your visibility. It will take you deep inside of your mind, it will happen in your life but it will take few time, remember it is not one day work you have to continue to perform this task at least 21 days to be habitual in this deed so do every day. dive inside, ask yourself who I am? speak with your mind, ask question different type of genuine question and give the possible answer to your mind about your power, problem, or anything that makes you in Dalmatia, ask a question without any hesitation it would be the main thing to dive inside your mind and find out the deepest knowledge of dhyana yoga.